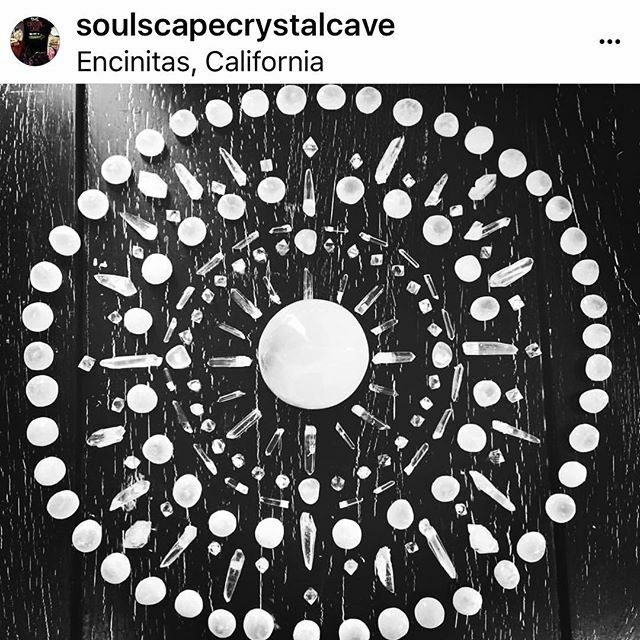 How amazing is this Full Moon crystal mandala grid made out of selenite + quartz? Come check it out over at our crystal cave! also we have tarot readings over there today and tomorrow until 5pm!